Claiming that abortion is medically necessary in order to save women’s lives is an excuse that the abortion industry has been using for decades in order to frighten people into believing that abortion must remain legal. The problem is, it isn’t true. Abortion is never medically necessary. No one knows that better than the Tebow family. 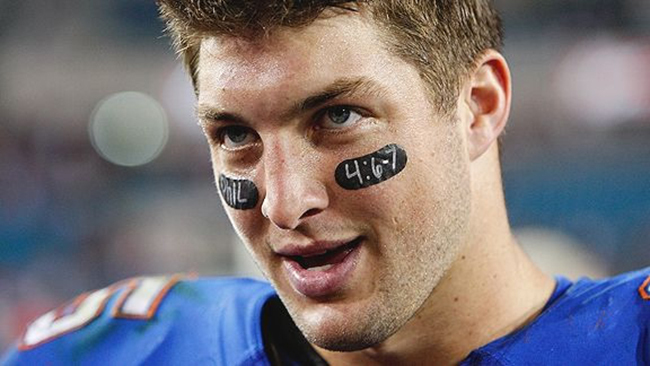 Professional athlete Tim Tebow is well known for both his football career and his pro-life stance. When his mother Pam was pregnant with him, she was in the Philippines and became suddenly ill with dysentery – an infection of the intestines. Tim Tebow and friend at his annual Night to Shine prom for children with medical needs. “From the beginning, it was a difficult pregnancy, profuse bleeding and cramping,” Pam Tebow told pro-life advocates at the March for Life on January 19, 2018. “We kept thinking we lost Timmy so many times. … The best doctor in town did some tests. She determined that Timmy was a ‘mass of fetal tissue – a tumor,’ and I needed to abort immediately or I would die,” she explained. Pam Tebow bravely refused abortion. The bleeding suddenly stopped and her husband flew her to Manila where an American-trained pro-life doctor saved her life and Tim’s life. He called Tim a miracle baby because there was very little placenta and he was malnourished. Tim Tebow went on to become the first sophomore ever to win a Heisman trophy. He was also the first college football player to rush and pass for 20 touchdowns in one season. Some even say he may be the best college football player of all time. Yet no one would have known he had ever existed had his mother gone through with an abortion. That’s something Tebow takes to heart. The Tebow family shared their story in a Superbowl commercial they created in partnership with Focus on the Family. Pro-life organizations and fans loved it, but pro-abortion organizations and media groups attacked it, calling it a “travesty” and “controversial.” But the Tebows have refused to remain quiet. The Tim Tebow Foundation was created to “bring faith, hope and love to those needing a brighter day in their darkest hour of need.” Through the foundation, Tim Tebow holds a prom for children with special needs, provides assistance to orphans in four countries, helps parents pay adoption expenses when they adopt a child with special needs internationally, creates Timmy’s Playrooms for children’s hospitals, and has built the Tebow CURE Hospital which has welcomed over 6,000 patients. When he isn’t out in the world helping others, he is spreading the pro-life message as a speaker and even on talk shows. Tebow’s pro-life efforts seem to know no bounds. The world would truly be missing out if Tebow had never seen the outside of his mother’s womb. So why did doctors tell Pam Tebow to abort? If the medication they were planning to treat her with ended up causing some harm to her baby, did that mean he was better off dead? His mother certainly didn’t think so. Even if her life would be at risk, what mother wouldn’t give up their life for her child? Levatino says that the key thing people miss when they think about late-term abortion is the fact that it takes at least two days to perform the abortion. If a woman’s life is truly at risk, it is smarter and safer to perform an emergency C-section or induce labor rather to deliver her baby than spend days dilating a woman’s cervix in order to prepare her for an abortion. In most such cases, any attempt to perform an abortion ‘to save the mother’s life’ would entail undue and dangerous delay in providing appropriate, truly life-saving care. During my time at Albany Medical Center I managed hundreds of such cases by ‘terminating’ pregnancies to save mother’s lives. In all those cases, the number of unborn children that I had to deliberately kill was zero. Rather than kill preborn children to save their mothers, Levatino delivered those babies and doctors did everything in their power to save both mother and child. Deliberately killing one person is never necessary in order to save another. Doctors have an obligation to try and save both.